The ELD Mandate effected the trucking industry greatly. Many of those effects are not yet known and could not be fully assessed yet. The 2018 year is going to be very interesting in terms of how the eld mandate will affect the trucking industry. 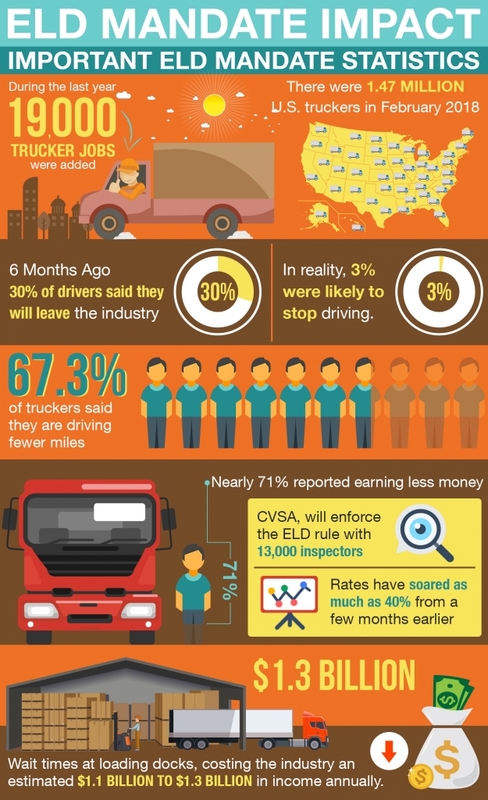 Bellow is an infographic representation of the number of drivers that adopted ELD devices as well as the number of truck drivers that will quit the industry as a result of the ELD mandate implementation. In addition, we are reviewing the trucking spot market rates.